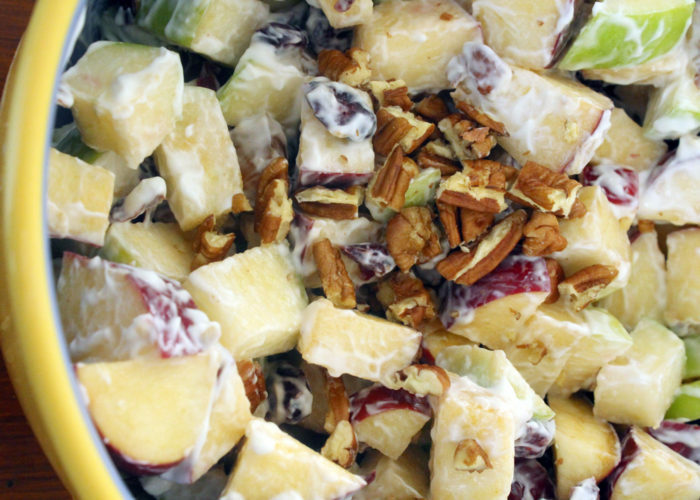 Sweet apples, pineapple and crunchy pecans come together in this traditional Mexican fruit salad. 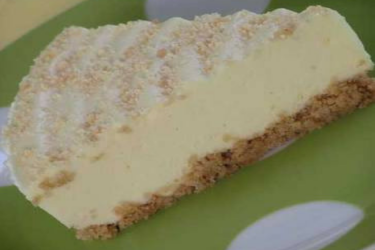 Don't wait for a special occasion, prepare this today! I truly do enjoy a good fruit salad anytime of the year. 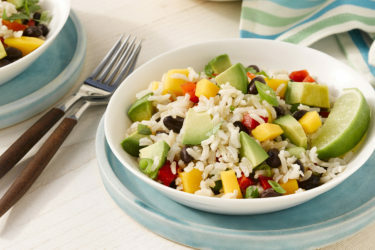 This recipe for Mexican fruit salad is really easy to prepare. Instead of using one kind of apple, I suggest trying a few different varieties. And instead of raisins, why not craisins (dried cranberries)? 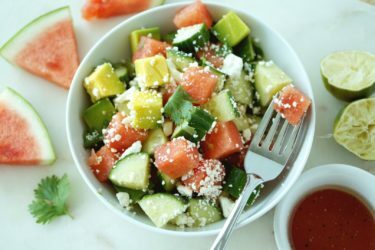 They add a sweet and tart element to this already delicious salad. This recipe is prepared during the holidays in Mexico. It's made with sour cream, so no need to cook any special sauce for today's version. Fresh fruit, easy prep and your dish of ensalada de fruta con nuez, Mexican fruit salad with nuts, will be the talk of the party! First, decide if you are going to peel the apples. I did not peel mine. Slice them into bite size pieces and transfer to a bowl. You can use a variety of apples or all the same kind. Squeeze in juice from ½ a lemon and toss to coat evenly. If using canned pineapple, drain syrup from the pineapple and add to the apples. Add in all of the remaining ingredients. Stir well to combine. If you like the salad a bit more soupy, add in some of the reserved syrup from canned pineapple. Garnish with pecan halves and more craisins. Chill until ready to serve. During Christmas, I like to add red maraschino cherries with the syrup to give the salad a pink color. It looks festive! Another great addition and flavor to add are diced canned peaches. Mix it up!